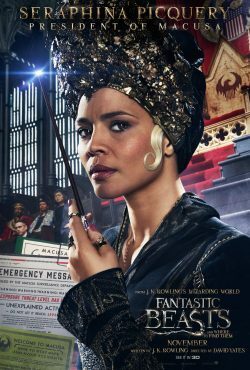 Warner Brothers have sent over the below telling us who is who in J.K. Rowling’s Fantastic Beasts and where to find them. 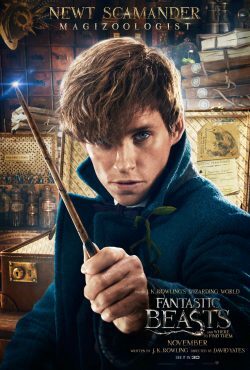 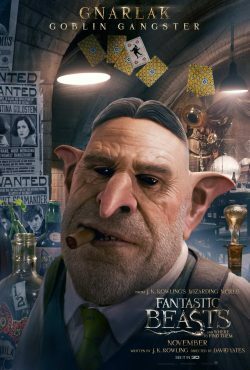 Newt Scamander is a Magizoologist who has been traveling the world to find and document magical creatures, hoping to educate the wizarding world about why they are important and need to be protected.In his travels, he has rescued a wide variety of beasts, great and small, which he keeps in a case that magically provides more than enough room for the menagerie he cares for and protects.Newt is an outsider, a bit awkward, and more comfortable with creatures than his fellow wizards and witches.Hailing from England, he was once a student at Hogwarts but was expelled for endangering human life with a beast.Yet there was one professor who fought for him, a certain Albus Dumbledore.No one could have imagined then that Newt would someday write one of Hogwarts’ most important textbooks: Fantastic Beasts and Where to Find Them. 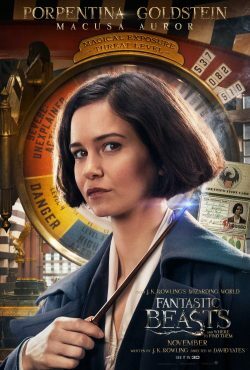 Tina (short for Porpentina) Goldstein is a smart and determined witch who lives in New York and works for MACUSA (Magical Congress of the United States of America).She was once an Auror but was demoted to a menial desk job after overstepping her duties when her heart overruled her head and she used unauthorized magic.She wants desperately to regain her status as an investigator, which puts her directly in the path of a visiting wizard named Newt Scamander.Tina is very close to her younger sister and roommate, Queenie. 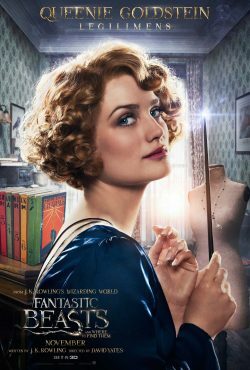 Queenie Goldstein is Tina’s vivacious and slightly quirky younger sister, who is undeniably beautiful, but there is much more to her than meets the eye.Queenie works a menial desk job at MACUSA in the same department as Tina, but she doesn’t have her sister’s driving ambition to be an Auror.In fact, truth be told, the free-spirited Queenie would prefer not to work at all.Queenie has a good heart and would do anything for her sister.She is also a Legilimens, meaning she can read minds. 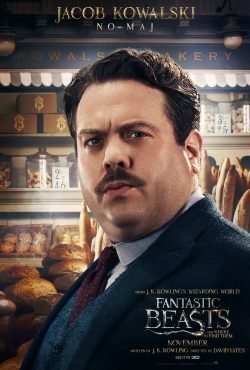 Jacob Kowalski is a No-Maj (American for Muggle) who works in a cannery but dreams of becoming a baker, making fresh and delicious treats.Unable to secure a loan, Jacob seems resigned to his fate, but everything changes when he encounters Newt Scamander and is inadvertently swept up in the mayhem caused by Newt’s magical beasts.At first, Jacob thinks he must be imagining things, but soon realizes he is on an adventure beyond even his wildest dreams. 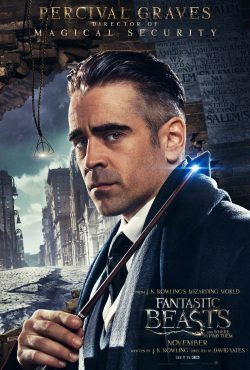 Percival Graves is an Auror and the Director of Magical Security at MACUSA, making him one of its highest-ranking and most respected officials.When Graves discovers that Newt Scamander has made an unauthorized trip to New York with a case filled with forbidden magical creatures, he is very suspicious of his intentions and concerned about the potential to break the American wizarding world’s most important law: the Statute of Secrecy.Graves seems to demonstrate care and compassion to the young and particularly vulnerable Credence Barebone.But to what end? 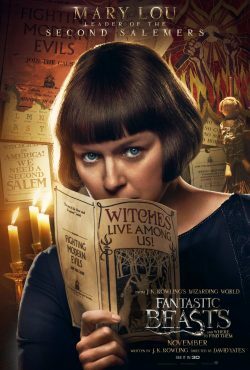 Mary Lou Barebone is a No-Maj and the outspoken leader of the New Salem Philanthropic Society (NSPS), otherwise known as the Second Salemers.Bent on exterminating all magic, Mary Lou fiercely crusades against the wizards and witches she is convinced live among them.She enlists in the effort her adopted children, who all live in fear of her wrath. 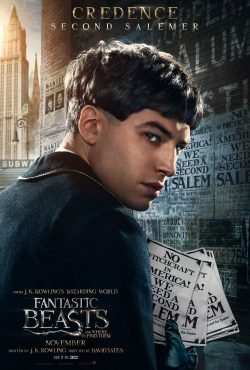 Credence Barebone, the adopted middle child of Mary Lou Barebone, appears withdrawn, extremely shy and far more vulnerable than his two sisters.Credence is defenseless against the abuse that comes in response to the slightest infraction of Mary Lou’s strict rules.But his loneliness also makes him susceptible to the manipulation of Percival Graves, who has taken a personal interest in Credence.